Get a prime view of Sapporo from Sapporo TV Tower, a 150 m (490 ft) observation deck in the center of town. 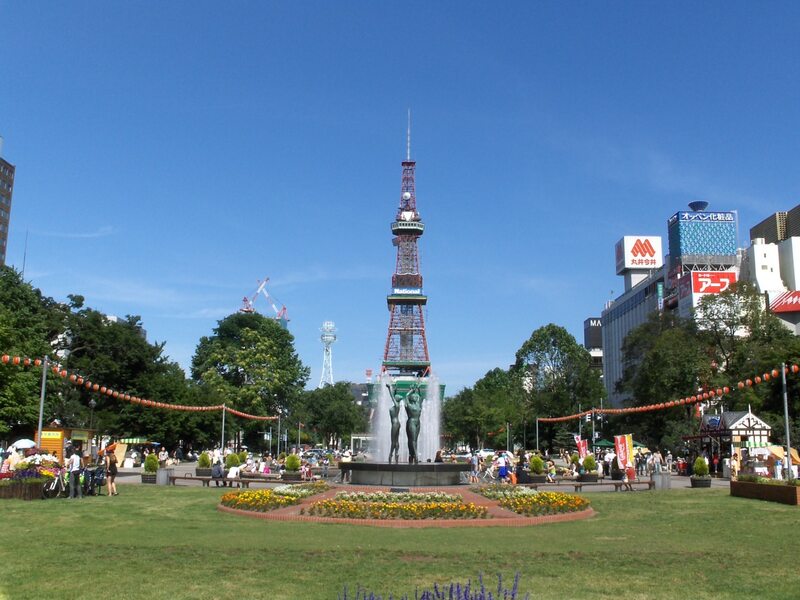 This attraction sits within Odori Park, a popular green space and festival ground. Enjoy the park before heading to its eastern end, where you'll find the tower and observation deck that allow you to take in the city's skyline. Even if you don't get the chance to visit this structure, which was built in 1957, be sure to keep an eye out for it at nighttime, when it becomes fully lit up. Plan your Sapporo TV Tower visit and explore what else you can see and do in Sapporo using our Sapporo trip itinerary planner. At the snow festival here go through the origin. If you sign this tower, in the snow a bit boorish. Once the clean restrooms, survived. Go to the Observatory is disappointing. The night was crowded. When it is cold the air is clean or better longer. Okurayama jump stand, Sapporo Snow Festival, venues such as views. Summer is good, but winter is beautiful. Way down on the stairs home elevator arrival, what fun filled. We loved this. Gorgeous views of the city of 2.2 million. Maps from several directions name what you're seeing in the city and mountains. Well organized. Modest tourist shop inside. Pretty park outside. Definitely worth the visit. This is an absolute must do when visiting Sapporo. It gives you a great perspective on the city, but also allows you to see the mountains and countryside beyond (weather permitting). I thought it was funny at the bottom of the stairs it read that you need to climb 3 stories, but as you climb stairs it slowly tells you it's actually more like 6 normal stories. So I had a nice workout thanks to tricky signage! ;) There is a lower elevator if climbing 6 stories is not your thing. The upper elevator, which is enclosed by glass quickly shoots you up to the top. It makes for a nice video if you get a good spot. Anyways, I think you should visit the tower! Beautiful experience to do when in Sapporo. When I went to the tv tower it was a clear sky morning in January and from the top I could enjoy a beautiful view of the city and the mountains around it all covered in snow. Priced at 700/800 yen but in my opinion worth it. There is a shop with any sort of souvenirs if you need to buy presents for friends and family. If you don't want to buy ticket you could just go to the 3rd Floor and look at the great views of Sapporo from here as well. I went there in January 2019 and it was snowing. Underneath it there are a lot of shops and places to eat. I believe it links to the subway trains. Excellent Tourist Spot to go to in Sapporo. The underground walkway was the fastest route to take to get escape the cold winds and snow. Every day, we help thousands of travelers plan great vacations. Here are some tips on how to use your Listing Page to attract more travelers to your business - Sapporo TV Tower. Promote your permanent link - https://www.inspirock.com/japan/sapporo/sapporo-tv-tower-a638597703 - on your website, your blog, and social media. 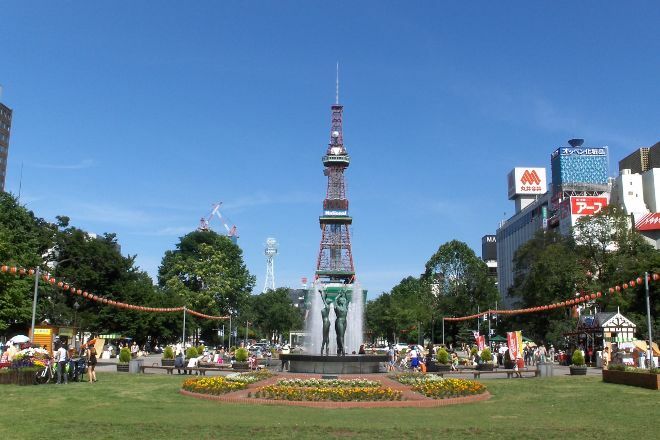 When a traveler builds a plan from this page, the itinerary automatically includes Sapporo TV Tower. This is a great way for travelers looking for a great vacation in your city or country to also experience Sapporo TV Tower. Promoting your link also lets your audience know that you are featured on a rapidly growing travel site. In addition, the more this page is used, the more we will promote Sapporo TV Tower to other Inspirock users. For best results, use the customized Trip Planning Widget for Sapporo TV Tower on your website. It has all the advantages mentioned above, plus users to your site can conveniently access it directly on your site. Visitors to your site will appreciate you offering them help with planning their vacation. Setting this up takes just a few minutes - Click here for instructions.